Inventor of single brand sports hatchback cups with the R8 Gordini, Renault has been perpetuating the spirit of promotional formulas for four decades. It has done this by organizing competitions across the globe which feature stringently identical cars, which are both efficient and affordable. With New Clio Cup, Renault confirms its expertise in entry-level sports hatchbacks by offering a product that provides driving pleasure and safety, as well as being easy to run. 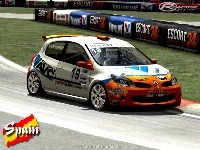 Developed using a Clio Renault Sport 2.0 16v base, the launch of the current Clio Cup was met with immediate success. Efficient, fun to drive and cost-effective thanks to the extensive use of production components, it has become the market leader in entry-level sports hatchbacks. Involved in a total of fourteen national championships (Belgium, Brazil, Denmark, France, Germany, Hungary, Italy, Mexico, Spain, Netherlands, Portugal, Switzerland, Turkey and United Kingdom) Renault Sport has demonstrated its expertise and know-how in the organization of championships which focus on providing sporting equity, a sense of fair play and plenty of racing action! The quest for driving pleasure was the guiding principle for the development team. 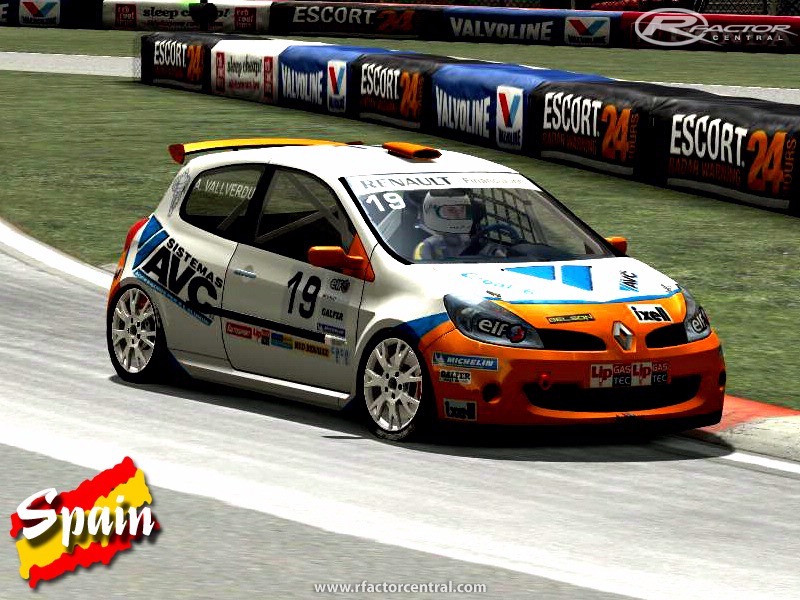 Well-balanced with a slight tendency to oversteer, New Clio Cup is suited to all driving styles and drivers, be they newcomers to motorsport, talented young drivers converted from the single-seater categories or even gentlemen drivers. Forever looking to make driving more fun, the driving position has been moved to the centre of the cockpit. Under the bonnet, New Clio Cup is equipped with a two-litre 16 valve engine, producing more than 200bhp. It is combined with an individual six-speed sequential gearbox with steering wheel mounted gearshift. Just copy the content of the rar to your rFactor installation folder. Using RealFeel is recommended with this mod. 1 = The car uses michelin tires. 2 = The car uses tires without brand. 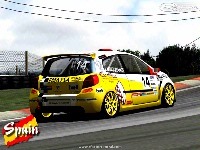 BrDev for permission to use their safety car from the Superclio 2006 mod. Permission granted by Marcelo Pereira. 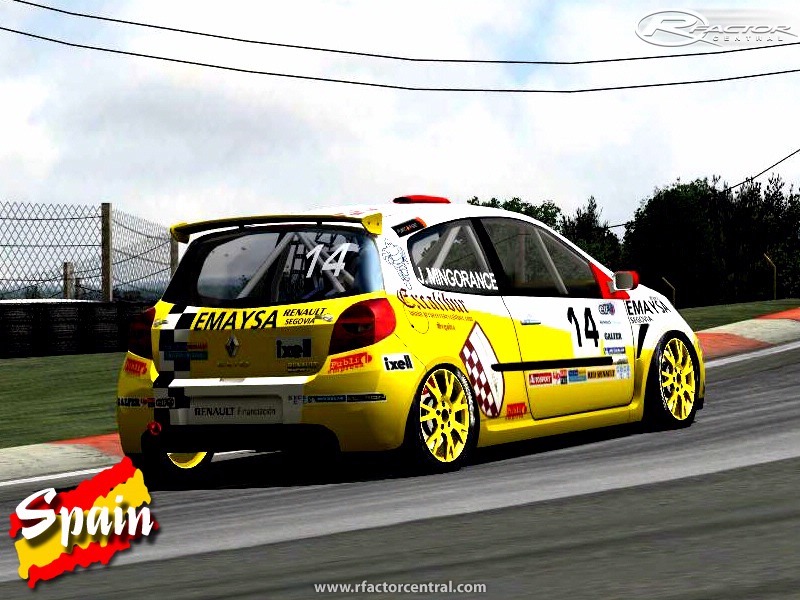 The authors of this add-on for rFactor are not responsible for any trouble caused by using it. 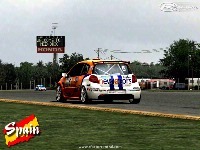 * This mod is not for profit, all trademarks are copyrights of their respective owners. 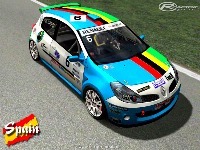 * SimRaceWay is not allowed to include this mod in their database nor use it in any of the races they organize. * Please do NOT modify this model or redistribute any part of it without asking for permission. It's not difficult to just ask first. 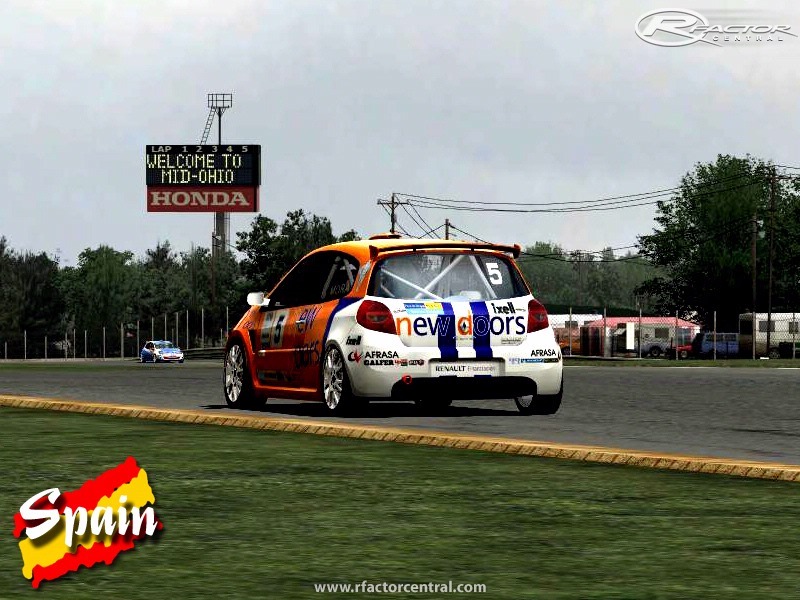 There are currently no setups for Clio Cup 2008. Add a Setup. Hi, make sure you don't have any popup blockers preventing the download box from appearing. The links were updated and should be working. does anyone still have this mod and would be kind enough to upload it somewhere? thanks! The templates were available at megaupload but that site is dead now. Can I download the templates from another site ? I've made a few changes to the engine braking and brake torque. I think it is closer to my 2008, but maybe I've a problem with it! Yeah, I have the same opinion jeje. Can you reduce the engine braking strength? It's way too strong compared to the real thing. Otherwise, power to weight and corner g are perfect, I get v. similar lap times in real life vs using this sim.